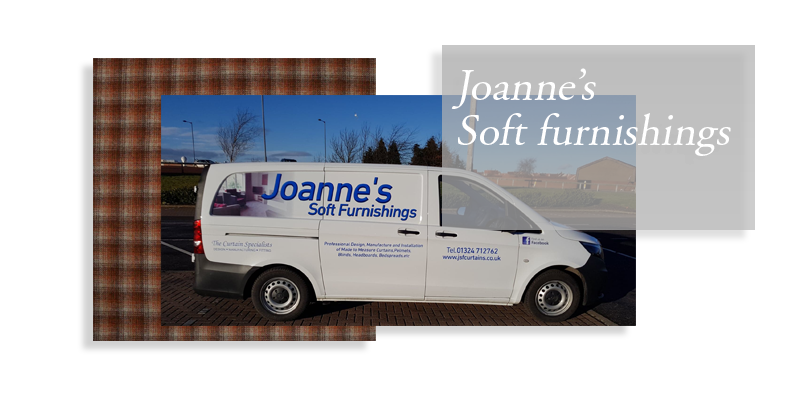 Welcome to Joanne’s Soft Furnishings. We are a friendly, family run business and have been established in the soft furnishing trade for nearly 30 years. Based in Falkirk, we cover the whole of the central belt of Scotland for our home and commercial consultations. We are makers of high quality, made to measure curtains, pelmets, swags and tails, all types of blinds, bedthrows, upholstered headboards and a wide range of coordinating accessories such as cushions, table runners, etc.